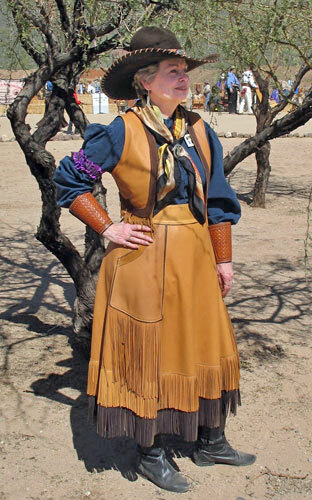 Women on the American Western frontier during the late 1800’s began wearing practical buckskin skirts and vests as ranch wear. 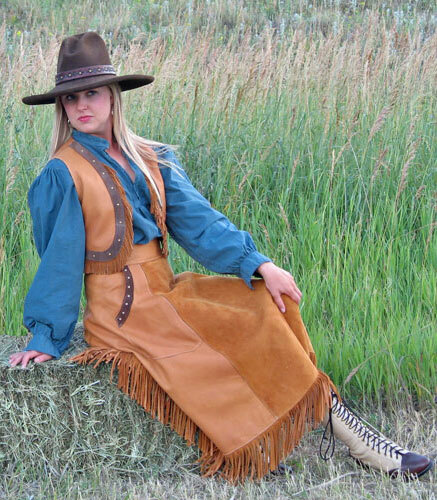 Our hand-made skirts and matching vests are made of high-quality deerskin for comfort, beauty and durability. 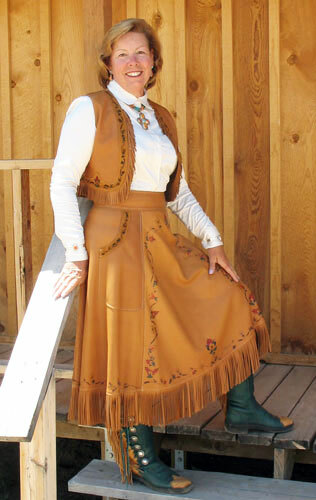 They are inspired by designs worn by early Wild West performers, turn-of-the-century rodeo cowgirls, the Silver Screen, and “Dudeens” who frequented the Dude Ranches of the West from the 1920’s-1940’s. 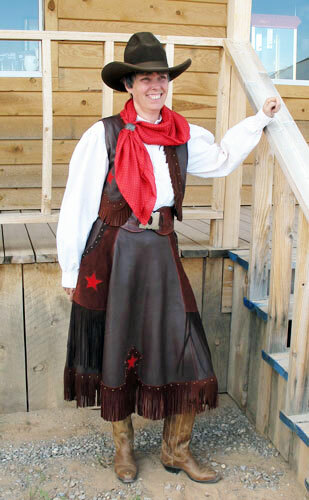 Our deerskin leather cowgirl skirt is cut very full with a straight waistband, two pockets, and a laced placket in back. 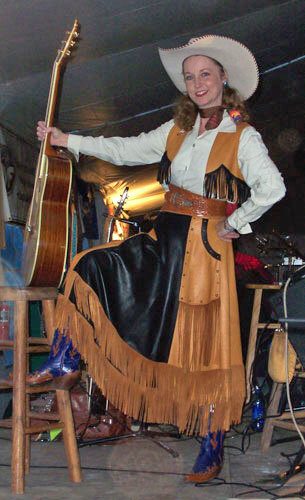 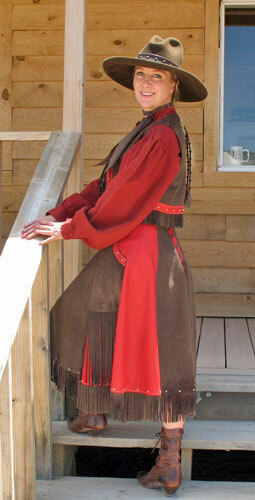 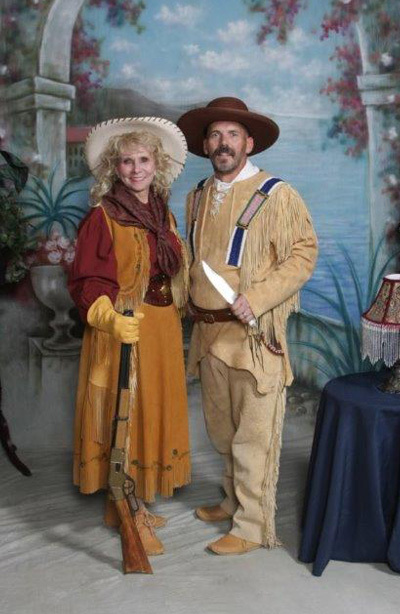 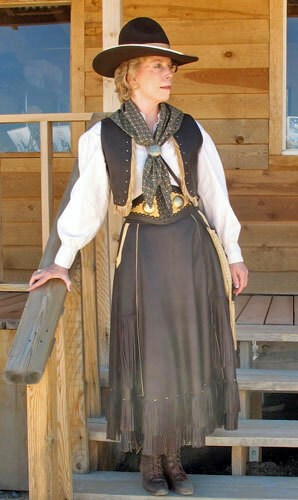 Cowgirl skirts and vests are available in a single color or two-tone, smooth or suede (rough-side out) leather, and come with the option of one or two rows of fringe on the bottom. 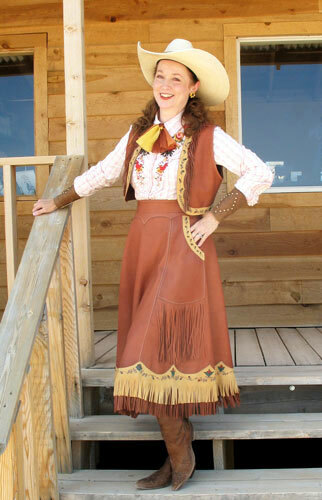 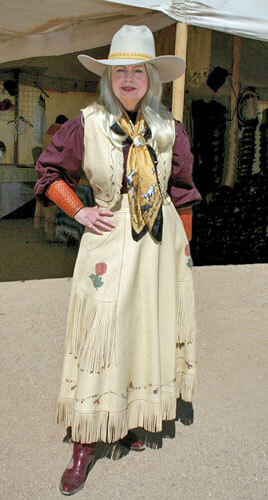 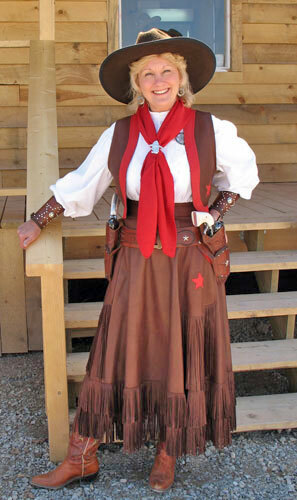 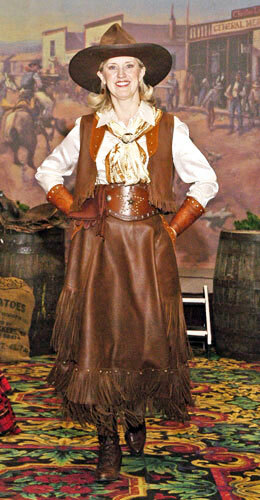 For a fancier look, cowgirl outfits can also be decorated by hand-painting or with silver, brass or antiqued studs. 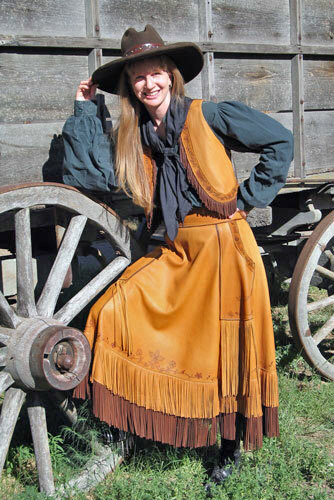 Our matching Bolero Vests can be worn alone or with the skirt.